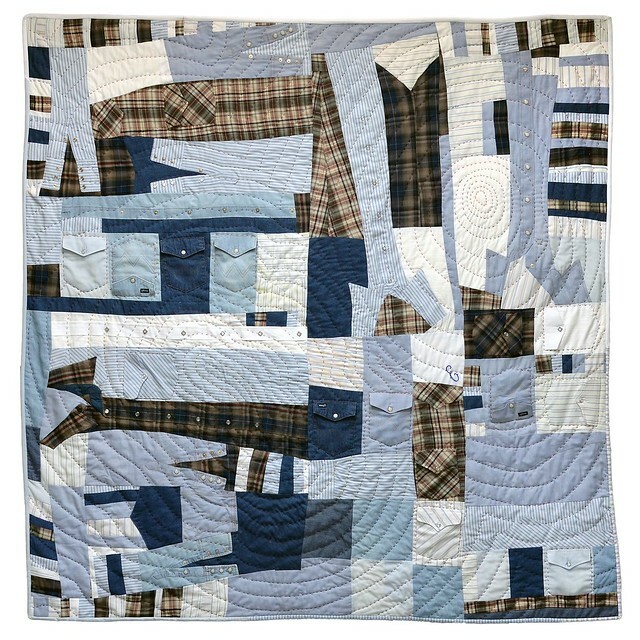 Sunny Edwards (1918-2011), 2013, 63" x 64" Made in collaboration with Rowan Edwards from his grandfather's western shirts, hand and machine pieced, hand quilted. Rowan Edwards visited my studio for weekly work sessions to create this improvised quilt in memory of his grandfather Sunny Edwards from Sunny's western shirts. 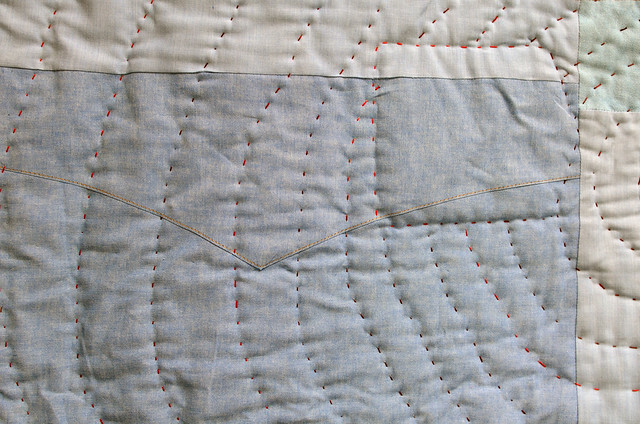 Together we devoted 57 collaborative hours (35 of my hours) towards completing this quilt. I love this picture of Rowan in front of the completed quilt followed by the picture of Sunny. 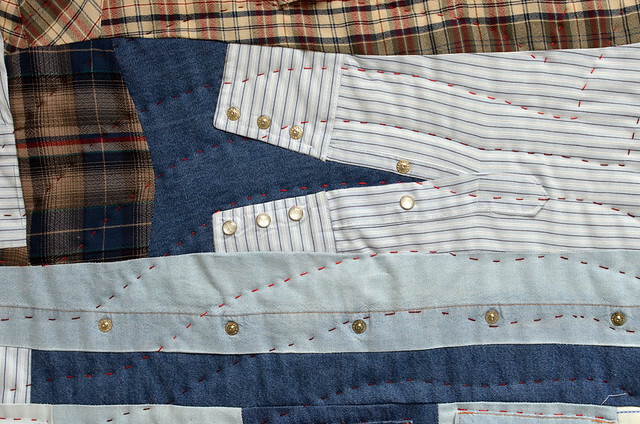 Because Rowan's hands chose Sunny's clothes, cut them apart, pieced them back together and participated in the slow process of hand-quilting, the result is not only a memorial to Sunny, but also embodies the living relationship between them that resides in Rowan's heart. 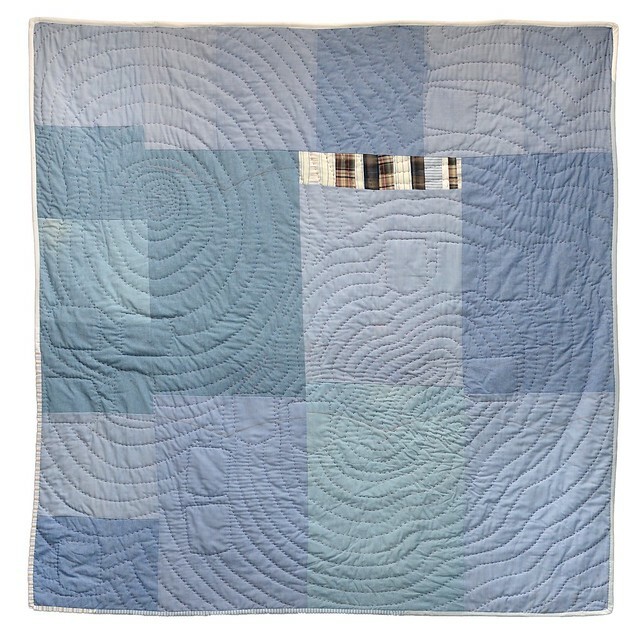 For more details on the making of this quilt and the bereavement/improvisation process visit the project archive or PassageQuilts.com.